Raise from £3,500 to over £150,000. Receive funds within days. 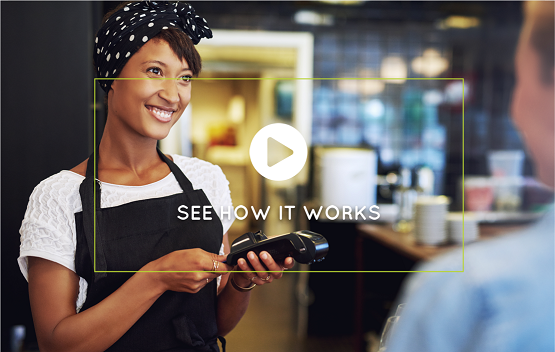 The Merchant Cash Advance is ideal for businesses accepting credit and debit card payments from their customers; including retailers, pubs, bars and restaurants. Business owners can raise from £3,500, and make daily payments designed to protect cash flow. Find out more about how the Merchant Cash Advance can help different customer service businesses below. Keep punters coming in for a good time, a quiet drink, or the best pub quiz in town. Pub and bar owners have used the Merchant Cash Advance to invest in comfortable furniture, renovate, hire new staff, and stock their bar. The hospitality business is competitive. Give your diners exactly what they want with quality kitchen equipment, highly trained catering staff, seasonal stock, and mouth-watering menus. Whether your customers are looking for a quick caffeine fix, a fry-up, or a taste of another country, the Merchant Cash Advance can help. Put more cash into your business to pay for essential upgrades and marketing. Welcome your guests with modern rooms, a menu they’ll look forward to, and concierge who always know what to do. 3-star or 5-star, you’ll impress both business travellers and guests getting away for the weekend. With a Merchant Cash Advance, you can stay on top of brand new hair and beauty technology. You could be the first local salon to offer a specific treatment, or provide new training to your team to make sure they’re always up-to-date. Make your garage an essential pitstop. To improve the experience, you can invest in the best mechanical equipment, incentivise your team, and create a waiting room customers won’t mind spending some time in. Give your customers exactly what they need. A Merchant Cash Advance can help you pay for in-demand stock, smart security equipment, and bold advertising to show off your discounts. Floristry is an art as well as a service, and you need the highest quality flowers to keep creating stunning arrangements. Create a buzz around your work, whether it’s on the top table at a wedding, or decorating a church. Keep your stock up to date, create compelling special offers, or invest in technology that makes stock reordering and customer marketing super simple. Fashion retail is fast-moving and constantly in demand. With the Merchant Cash Advance, you can invest in the perfect stock and make sure you’re always following the most relevant trends. The Merchant Cash Advance is perfect for all kinds of retail businesses – source the best stock, stay on top of trends, and keep cash coming into your business. At the end of each working day, a small percentage of your credit and debit card takings will be made in repayments. If you have a slow day, you won’t pay back much but on a busy day, you’ll repay slightly more. It’s finance that doesn’t impact your cash flow. Invest in the latest dental technology, hire qualified staff, and ensure your surgery is a comfortable place to be. Dental practices are continually evolving, make sure yours isn’t left behind! You’ll speak to the same dedicated account manager from first contact to receiving your cash. They’ll answer your questions and guide you through the application process. Our team is based in South Manchester, and we work with small businesses from all over the UK. Pay back the Merchant Cash Advance with a small daily percentage of your credit and debit card transactions. No large monthly payments, just simple, manageable repayments.